Bosnia’s journalist association urged on Thursday the Government of Republika Srpska to immediately withdraw proposed changes to the law regulating public order which, if adopted, would jeopardise the work of journalists, including their right to shoot photos or video of public officials while they are performing their duties. 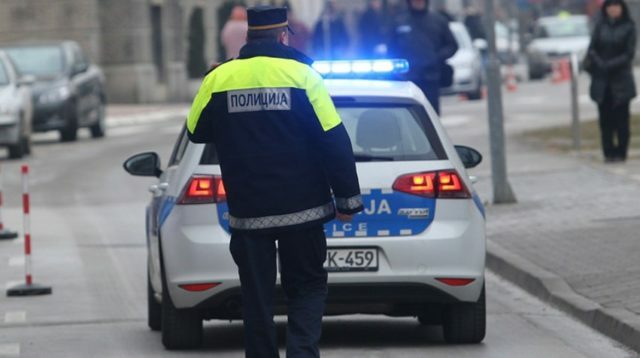 Authorities in Republika Srpska want to change the law regulating public order so that persons recording and taking photos of police would face fines or 60 days in jail, a provision that worries journalists and human rights NGOs. The Government of Republika Srpska (RS), has on March 28 approved the draft and has advanced it to the RS National Assembly for adoption. According to the changes, persons who “by unauthorised photographing or recording disturb public officials while they are executing their duty” will either have to pay a fine ranging from 500 to 1,500 BAM, or will have to spend 60 days behind bars. According to the Association of BH journalists, the changes would introduce “repressive measures” to journalists in the entity, but also to those from across the country who do their job in the Republika Srpska. Such a new law would also “breach international standards of freedom of expression and work of media professionals,” as well as those prescribed by the OSCE, the Association said. “The changes also violate the rules of the OSCE, the Council of Europe and other European institutions regarding the permitted recording and photographing of events of public importance without seeking prior approval from police or any other public institution,” it added. Those rules say that recorded material cannot be taken away from journalists, cameramen and photojournalists without a decision by the competent court,” it said. The Association called on Republika Srpska lawmakers to vote against the adoption of the law. “Throughout the past several months we have witnessed illicit use of force against journalists, activists and citizens of Banja Luka by the RS police – the adoption of the mentioned law changes would open legal space for even stronger repression and the complete derogation of human rights and freedoms in this entity,” the Association said. It also called upon international organisations to react and do what they can to stop the adoption of the changes. “Should such a law be adopted, it would not only slow down the democratic processes in Republika Srpska and Bosnia and Herzegovina, but it would also present Republika Srpska to the international and domestic public as a region where human rights and basic freedoms are not respected,” the Committee said, also calling upon RS lawmakers to refrain from adopting the changes.